There are several success stories in the Indian analytics sector. But only seldom has one come across as unique one as that of Ankush Bhandari from IMS Proschool. 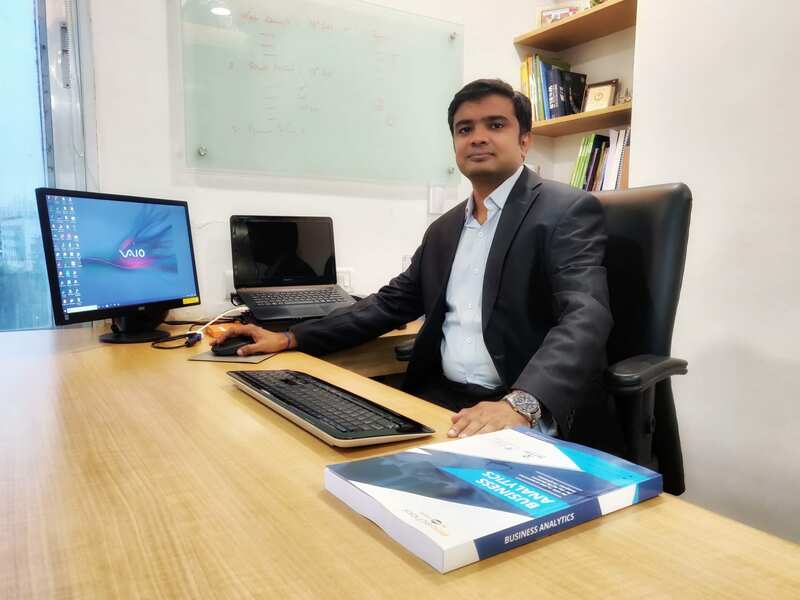 He began his career as a provider of tiffin services in Pune and changed his career 360-degrees to that of a noted data scientist in the community. 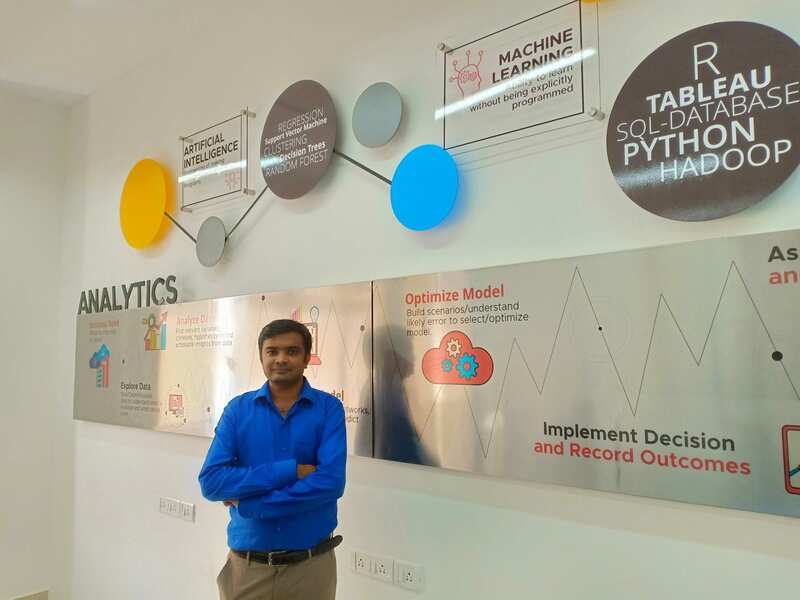 As Bhandari aptly puts it, from “feeding stomachs through his tiffin service, to feeding the brain through data science education and training,” his journey has been an eventful one. In a candid interview with Analytics India magazine, Bhandari talks in detail about his career path, life choices, and gives advice to students or professionals who are looking at exploring other avenues in their careers. Tell us about your transition from a tiffin service provider to a data scientist. After completing my Masters in Economics from Fergusson College, Pune, I started my entrepreneurial venture as a tiffin service provider. Since, starting a tiffin service needed low capital and there is ease in acquiring customers, it became my first choice. 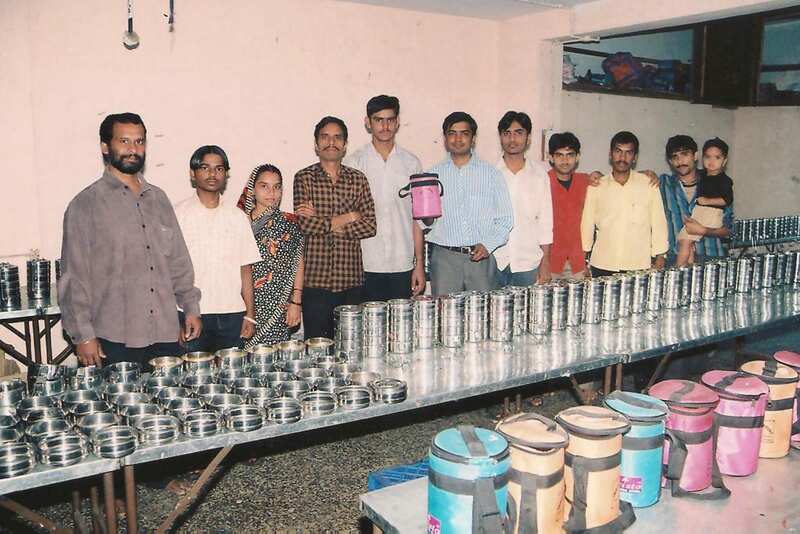 Within 6 months of inception, I began delivering more than 500 tiffin’s daily. However, due to some unavoidable circumstances, I closed the venture and joined IMS Proschool Pvt Ltd – an initiative of IMS Learning Resource in 2009. Due to my entrepreneurial background, I started working with New Venture Development. In 2011, I got promoted as a Product Manager – Financial Planning and I produced and co-authored 5 books on Financial Planning with Tata McGraw-Hill Publication. During this time, I also started learning Digital Marketing and built a digital marketing team to increase our online presence. In the year 2014, I got promoted to Head (India) –IMS Proschool CPS. In 2016, we launched Business Analytics Course and in 2017, 10 months Data Science Course. To use analytics for internal functions and to enhance the product, I completed the Microsoft Certified Professional Program in Data Science, which equipped me with the proper understanding of overall data science ecosystem. I have been using these skills to make sense of the data that we are collecting in Academic, Marketing and Operational field and also working on a project to find the factors which are contributing most in the successful completion of the course. Currently, IMS Proschool – CPS is training more than 7,000 students annually in Data Science, Analytics, Finance, Account and Digital Marketing courses across 10 cities in India. You have gained considerable knowledge from MOOCs (Massive Open Online Courses). Tell us how you used them to your best advantage. A decade ago, knowing one skill was enough for working in a field for the rest of one’s life. But, in the current business environment, things are changing very fast. So, to remain relevant and competitive, one needs to learn continuously. To learn new skill sets you can take the help of either classroom program or MOOCs. In my case due to the busy schedule, I used MOOCs to build new skills which were needed to take the company business forward. With the help of MOOCs, I completed the CFP Certification, Google Certification in Adwords and Analytics, Financial Modelling, Chartered Global Management Accountant ( CIMA UK and CGMA). Recently, I became one of the 13th Google Certified Trainer in India. I also completed the Microsoft Professional Program in Data Science through MOOCs. Continuous learning and acquisition of new skills through MOOCs has helped me to reach this stage where I am heading the institute to train working professionals on new-age programs. Should aspiring data scientists work with MOOCs? Or should they opt for classroom training? To remain competitive and productive, continuous learning should be the goal, you can do it through MOOC or classroom training. If you are self-motivated, have a previous background and someone to guide then you can go for MOOCs. But if you want to learn in a group, need a mentor to guide you, and are unfamiliar with the topic, then classroom program is more suitable. You said you are using data science to create educational products and at the same time also using your education experience to create data science product? Can you give us some examples? Like many training providers, we also started teaching Data Science using well-known data sets of IRIS, Loan Prediction etc. Though these data sets are useful in explaining the concepts, students were finding difficulties in visualising the data set or understanding the problem statement. Then we started using Cricket stats to teach Regression; In this case, we gave variables like Team ranking, player ranking, the Average runs scored by players and asked them to predict the total run that can be scored in the particular match. Immediately, students asked why we didn’t include the data from the weather report, the Average run scored by players in last year and many other related queries. We had not seen such kind of probing on IRIS dataset before. This case study helped us to know that learning can be significantly improved if we take the cases in which students can relate to. So next time, if a teacher is teaching regression using the example of 2019 General election, then I am sure students will come to class half an hour before. Similarly, we have also started using data science techniques in identifying the factors (like faculty experience, faculty rating, case study used in the class etc.) which are contributing most in the success of students in a course. This analysis will help us in focusing on those factors which are contributing most to the success of students. You said your next goal is to learn AI and its uses in education. How do you plan to do it? Since I have done Microsoft Certified Program in Data Science and build models using various techniques of Machine Learning, I have a fair understanding of AI, but to become an expert in it again, I will depend upon MOOCs. Many AI experts are working on developing a solution to automate administrative work, grade subjective assessment and provide individualised learning. As an educator, I am going through various applications of AI which can help us in improving the training experience of students. For example: Using NLP to evaluate subjective assessments or using video analysis techniques to assess candidates’ presentations. From your experience as an educator, what are the things that students expect to achieve from your course? Upskilling, job change, better prospects? Whenever students asked one of our trainers, “Kya milega” after the course, he used to jokingly reply, “If you don’t do it, then “Jo mil raha hai who bhi nahi milega”. And now that is pretty much happening. The drive toward automation is making several hundred thousands of IT professionals redundant unless they are re-skilling themselves in new areas. Having said that all the terms upskilling, job change and better prospects are interrelated. In our course students upskill themselves with Python, R, Tableau, Hadoop and new techniques such as Machine Learning algorithms and applications of data Science in various domains. This upskilling eventually will help them in moving up in their organisation or a job change in the data science field. What is the next big thing according to you in the new tech field? The internet of things, blockchain, AI, virtual reality, augmented reality are the topics which are causing a great deal of hype and excitement, not just in the technology circle but in the wider business world, too. However, the idea that putting them together could result in something even higher than the sum of its parts, is something which has begun to gain traction, for example, IOT + Blockchain, AI + VR . For example, Researchers from the University of Berkley have developed a platform that “trains” the artificial intelligence behind a physical robot, like a robot arm. Their training works by “exposing” up to a thousand objects to the AI in a virtual world so it understands everything about them, including how to operate them. In the coming future, you will see more and more such convergence to find out innovative solutions that we have never imagined before. I think very soon a time will come when your robot will interview my robot. Then your Robot using AI / NLP convert the chat into a Virtual Reality show, which can be targeted using various IOT devises through a secured Blockchain technology. Seeing this trend, one of my friends jokingly said that he wants to retire in a digitally disconnected village. I hope Modiji will keep some villages away from Digital India, so he that can retire their peacefully. What trends have you observed in data science since 2009? The democratisation of knowledge: New trend in data science is the democratization of knowledge. Earlier, the data scientists were supposed to know everything (programming, algorithms, application) and business leaders were dependent on them for their expert advice. But gradually this is changing because of adoption of new tools that typically obviate the programming aspect and provide user-friendly GUI (Graphical User Interface) so that anyone with basic knowledge of coding and algorithms can simply use them to build high-quality machine learning models. Some of the popular tools are Azure ML, Google AutoML, AWS ML, IBM Watson and Rapid Miner. These tools are empowering the decision makers and managers to use the power of technology themselves to find out innovative solutions related to their field. Google auto ML has already prepared a solution where you need to upload images in the system to develop image identification tools. All the works of data cleaning and decision regarding algorithms are left to machine only. Multiple Roles: Earlier the role of Analytics was mainly confined to applying statistical techniques to data to find a pattern using R or SAS. Today’s data scientists have a wider choice. They can specialise in data visualization, data science, machine learning or big data. However, most companies still prefer to hire people who have a mix of these skills. For example, data scientists who know machine learning or are experts in big data are preferred to data scientists who just have analytical skills. Availability of talent: Earlier, the biggest worries of companies while launching Data Science project was the paucity of talent to execute the projects. But now due to awareness about the data skills and availability of various learning options, many professionals have learned the skill sets and are ready to work in the field of Data Science. What were the difficulties/challenges you faced in your journey? For any professional, the biggest challenge is to balance work and family, and in my case, I will add “study” as well. I have managed it by not getting hooked to social media and TV and by staying closer to my office. With an economics background, learning technology-oriented subjects such as Digital Marketing, Data Science, Technology in Education etc. was another big challenge. But if you give sufficient time and focus and get the right resources to prepare, building diverse skills is easier. And the most amazing challenge is solving the diverse queries from my team members in a day, for example- “How to prepare a case on Microsoft Azure?”, “How to optimise FB campaign?”, “How to conduct management accounting exam, to name a few. Finally, after wearing too many hats in a day, I come home and spend time with my little daughter which rejuvenates me to spend another two hours at night to study some new topic. What are the roadblocks (challenges) for an aspiring data scientist? The roadblocks for an aspiring data scientist are distractions, fixed mindset and competitive job market. Previously, the lack of quality content or mentorship were the issues, but not anymore due to the availability of training providers and MOOCs. Netflix and Facebook examples are the most used examples to promote the use of Data Science. We talk about how they use Analytics to target the user with the most relevant content. But excessive content is distracting users. I advise students not to visit Facebook frequently and mute most of the groups on WhatsApp to keep you focused on their studies. Another roadblock is a fixed mindset. In the data science class, if a student is from commerce background, then many times she believes that it is difficult for her to understand coding and a tech guy thinks understanding finance and marketing is complicated. From my own experience, I can say that if you have a growth mindset where you believe that if you make efforts, you can learn the subjects from other domains, then learning is easier. The competitive job market is another roadblock for the aspiring data scientist. Earlier, with some basic knowledge of R and Statistics, students used to get jobs in analytics but not anymore due to the availability of talent pool. Many candidates leave the transition path in between due to this competition. However, it does not mean that few jobs are coming in data science. Now the adoption of data science is becoming more extensive, so there are more job opportunities. But due to the mature market, companies are accepting a good understanding of R or Python, conceptual understanding of algorithms and sound business logic from the candidates. After completion, of course, either classroom or self-study, it is advisable to freshers to participate in the competition like Kaggle. For working professionals apart from participating in Kaggle, they can also build the models on the data available in the company where they are working. One of our students who transitioned from Marketing to Data Science, without being asked by his senior he used to prepare a model on data available to him in the company and present the observations to his senior. Later, when he appeared for the interview, he was able to showcase relevant work experience through these models. Another advice for the aspiring data scientists is, if possible to stay close to their office. I have interacted with many of the data scientists and found that during the transition period many of them have stayed closer to their office (I have not prepared a model on it, it is just my observation). This is because data science requires consistency in your study and if you are spending 2 hrs in traffic then focussing on learning may be difficult.